Are you afraid to meet people or go out to parties because of the blemishes on your face? Sitting at home and hiding from the world is not the solution. You have to find a way to get clean and clear skin and regain your confidence. This article is going to be your social lifesaver! At the first sight of a blemish, you think of over-the-counter drugs and products that are specifically formulated for blemish treatment. But these chemical-laden products tend to cause flaking, dryness, and skin irritation. Using homemade solutions is a safer option that will give you the same results if you follow the correct procedure. Blemishes can occur on your face due to various reasons. We have explained these causes below. We will also take a look at the home remedies to remove these blemishes. Keep reading! Blemishes occur due to one major reason, and that is excessive oil production. They are mainly the aftermath of an acne burst. The pimple goes away, but it leaves behind scars that will never let you forget it. The cause of a blemish is the clogging of pores with dead skin cells and excessive oil, which results in acne. When this happens in the upper layers of the epidermis, we get whiteheads and blackheads. However, when this happens in the inner layers, we end up with acne. Acne leaves our skin red and inflamed, which then turns into a blemish once the pimple goes away. Obviously, waiting for the pimples to vanish and praying that blemishes don’t appear is not the solution. Some things don’t fix themselves, and pimples are one of them. Treating them appropriately is the only way you can make sure they don’t come back to haunt you. 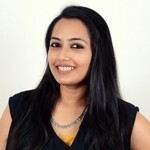 Here is how you can remove blemishes (while treating acne) with wonderful secrets from my grandmother’s diary. Apply this directly to the blemish and leave it on. Calamine lotion is composed of zinc that absorbs excess oil and helps get rid of acne and the accompanying blemishes. Zinc is a common ingredient used for the treatment of acne vulgaris (1). Take a very small amount of cocoa butter and massage the affected area with it. 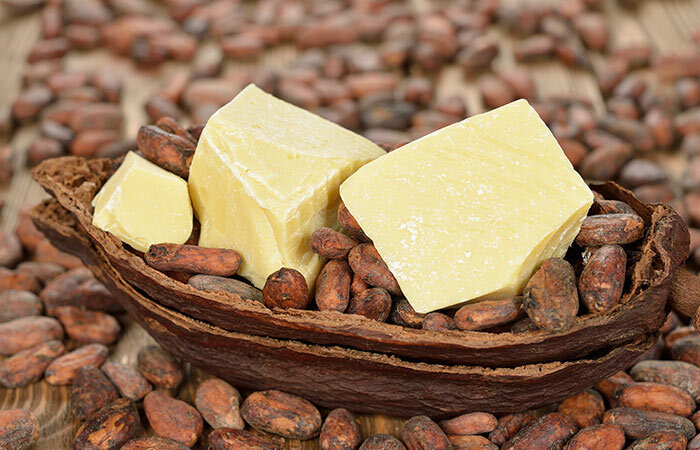 Cocoa butter contains antioxidants and has anti-inflammatory properties that help to fade the blemish. It also hydrates and moisturizes the skin (2). Add a few drops of water or olive oil to the baking soda and mix well to get a paste. Apply this paste on the affected area and leave it on for 5-10 minutes. Slowly scrub the paste off and rinse the area with clean water. Baking soda neutralizes the pH of the skin and also scrubs away the dead cells that have accumulated at the site of the blemish (3). This makes the blemish appear lighter. And after multiple uses, your blemish will be completely gone. On clean skin, apply the egg white using either the brush or your fingers. Let it dry for about 10 minutes. Pat dry and apply a moisturizer. Apply this face mask twice a week. 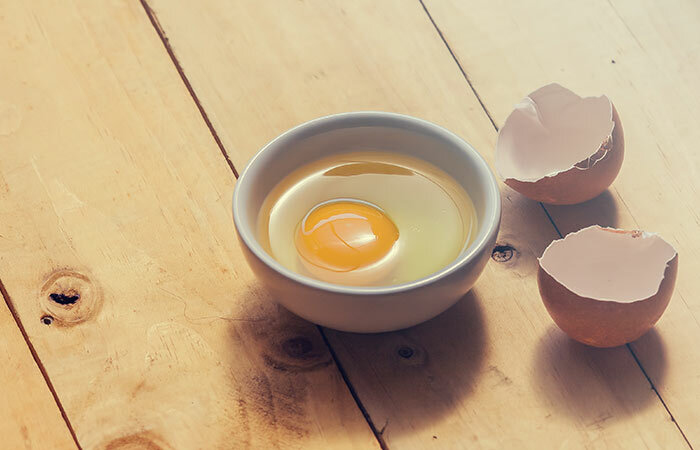 Egg white contains natural enzymes that tone the skin and lighten blemishes and scars (4). Make a mix of the vinegar and water. Store the solution in the spray bottle. Spritz your face with this and let it dry naturally. ACV works as an astringent and balances the skin’s pH while killing the harmful microbes that may infect the pores. Its mild acids help to lighten blemishes. The excess oil production is also brought under control (5). 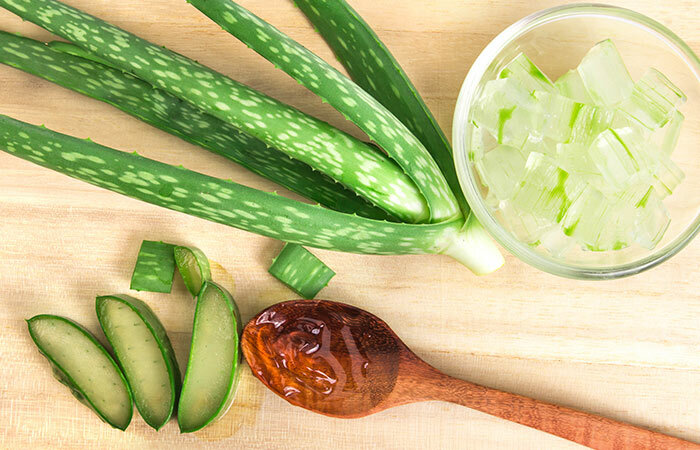 Cut open an aloe vera leaf and extract the fresh gel that is present inside. Apply this on the affected area and massage it in for a minute or two. Rinse it off with water. If it does not feel too sticky, you can also leave it on overnight. Aloe vera possesses healing and skin rejuvenating properties. It has antioxidants and polysaccharides that are responsible for these effects on the skin (6). Apply a layer of honey on the blemishes and keep it on for about 15 minutes. Apply honey every day to get rid of blemishes quickly. The humectant and emollient properties of honey nourish the skin cells and keep the skin in optimum health. Its antioxidants remove free radicals and fade away scars as new cells replace the damaged ones (7). Grate the potato and squeeze firmly to extract the juice. Apply this on the blemish and leave it on for 10 minutes. Apply potato juice 1-2 times daily. 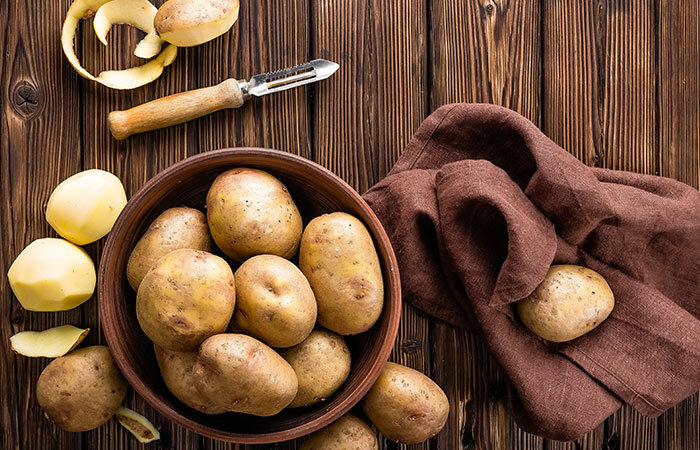 Potato contains enzymes that act as mild bleaching agents on the blemishes when applied topically (8). Apply the lemon juice on the affected area. Wash it off after about 10 minutes. Lemon juice works as a bleach on the skin, lightening scars, blemishes, and also your skin tone (9). If you have sensitive skin, dilute lemon juice with an equal amount of water before applying it. Apply a tiny amount of toothpaste on the blemish or spot. Let it dry for 10-12 minutes and then rinse it off. 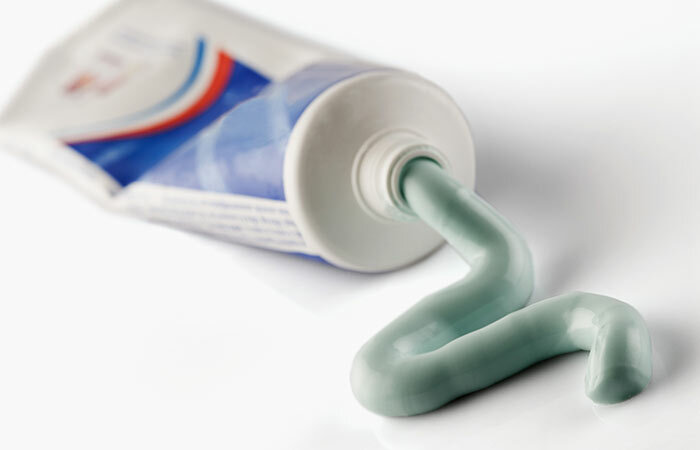 Toothpaste dries out the pimple or spot and absorbs the excess oil present there (10). If it contains essential oils like mint or peppermint, it can also aid the healing of the blemish. Crush the leaves and mix with honey to get a smooth neem paste. Apply this paste on the affected area or the entire face. Let the face pack dry for 10-15 minutes. Neem absorbs the excess oil that is being produced by the skin and clogging the pores. It also fades blemishes with regular usage (11). Mash the papaya and apply it on your face for 15 minutes. Rinse off the papaya pack with water. 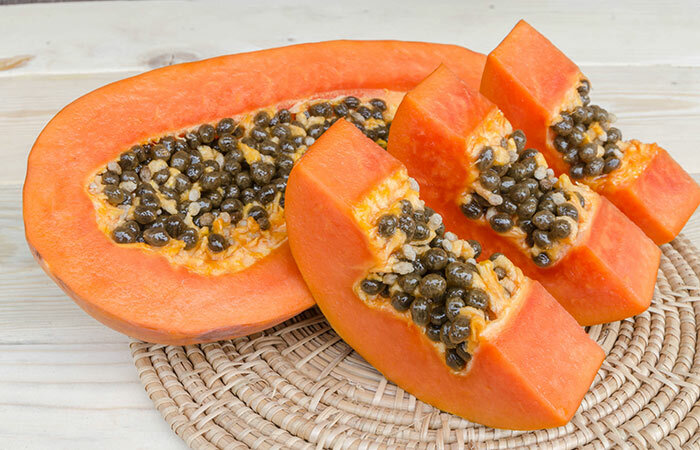 The enzymes found in papaya exfoliate the skin and bring the oil production under control. The accumulated impurities are all removed to reveal a smooth and blemish-free skin (12, 13). Cleanse your face and pat it dry. Apply shea butter and massage for a few minutes so that it is completely absorbed into the skin. Leave this on and go to bed. Shea butter nourishes the skin and contains vitamin A that is excellent at reducing blemishes and scars. It will keep your skin smooth and young looking (14). Mix all the ingredients and apply the mask on your face. 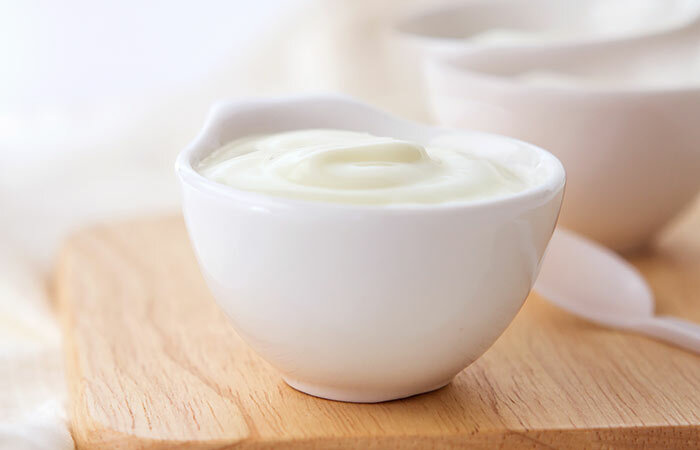 Yogurt contains lactic acid that acts as an exfoliant and a blemish lightening agent. It also prevents future acne breakouts that can easily leave scars and blemishes behind (15). Apply the mixture of the ingredients on the face for 10-12 minutes. Rinse it off first with warm water and then with cool water. Apply this every alternate day for best results. Curcumin, a key phytochemical found in turmeric, possesses antioxidant and skin healing properties. It evens out the skin tone and fades blemishes, scars, and dark spots (16). Apply tomato pulp on the entire face. Massage for a minute or two and leave it on for 10 minutes. Follow this routine once every day. 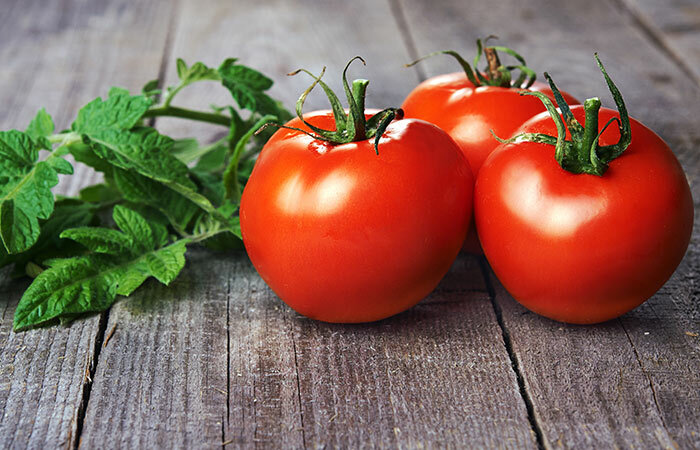 The antioxidants and vitamin C found in tomato juice remove blemishes and skin tan (17). Your skin will be clear and glowing in just a few weeks. Break open the garlic capsule and squeeze the content into your moisturizer. Dab this on the blemishes. With its antibiotic and antioxidant properties, garlic can get rid of blemishes and acne scars easily (18). Mix the oats with the lemon juice and add enough rose water to get a smooth paste. Apply this on your face and let it sit for about 10-12 minutes. 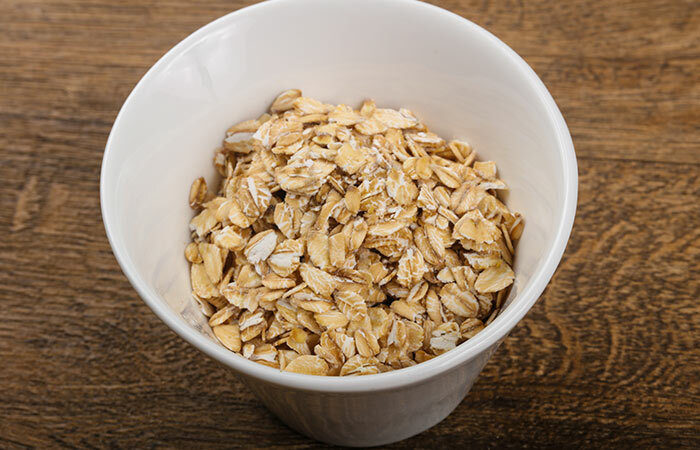 Oatmeal soothes and cleanses the skin and exerts antioxidant effects on the damaged and blemished areas (19). The lemon juice aids in lightening the blemishes. On a cleansed face, apply the almond oil and massage it in. Almond oil contains skin bleaching agents, along with essential fats, that will lighten your blemishes and also keep your skin hydrated and healthy (20). 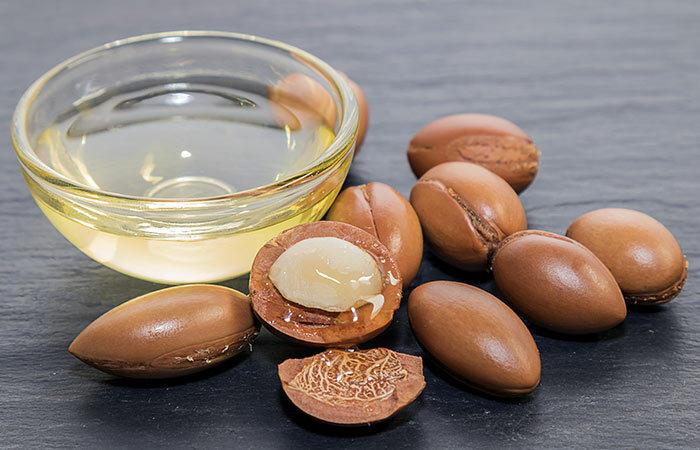 Massage a few drops of argan oil on your face before going to bed. Argan oil rejuvenates and hydrates the skin while fighting acne and blemishes (21). Mix the essential oil with either coconut oil or olive oil and apply it to the blemishes. This is best done every night until the blemishes are gone. Tea tree oil is an antiseptic essential oil that prevents breakouts as well as the formation of blemishes. It also possesses healing properties that will help in erasing the existing blemishes and scars (22). Apply coconut oil directly on your blemishes and leave it on. 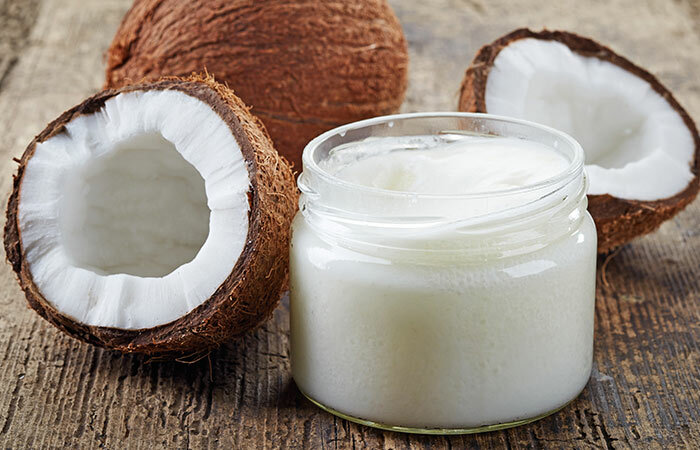 The phenolic compounds in coconut oil act as antioxidants and will help to get rid of the blemishes in just a few weeks (23). Apply a drop of castor oil on the affected area and massage in a circular motion until it gets absorbed. Castor oil is an emollient that rejuvenates and heals the skin. It has anti-inflammatory and antioxidant properties (24, 25). Massage your face with the oil and leave it on overnight. 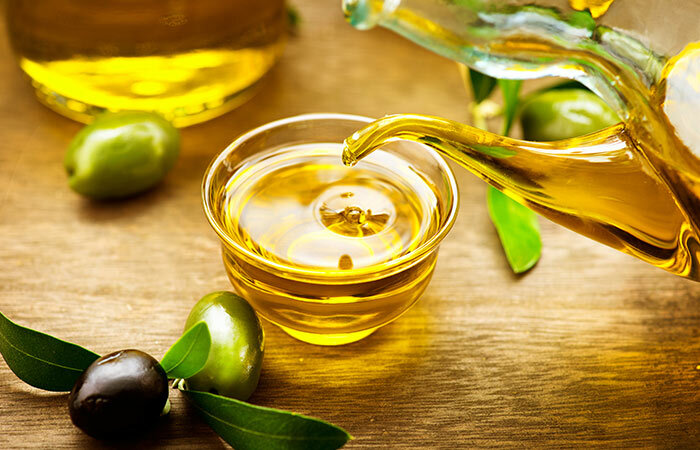 Olive oil is excellent for topical application. Its anti-inflammatory compounds, antioxidants, and nutrients keep the skin clear, supple, and blemish-free (26). Mix rosehip oil with any carrier oil of your choice and apply the blend on your face. Gently massage so that the oil is absorbed by your skin. Rosehip oil can improve the appearance of scars, blemishes, and even pigmented skin as it contains vitamin A, vitamin E, and fatty acids (27). Massage the oil well into the skin and leave it on overnight. 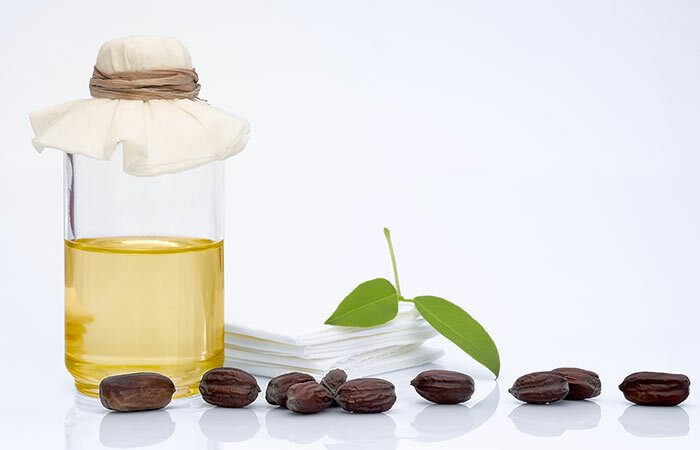 Jojoba oil is rich in antioxidants, and it refreshes and rejuvenates your skin. It gets easily absorbed into the skin as it resembles the skin’s natural oils. It heals blemishes and scars and prevents wrinkles as well (28). Make a blend of the oils and apply it on your face. You can use this for spot treatment of blemishes. Keep it on for as long as possible. Reapply this essential oil twice a day. Apart from being a strong antimicrobial essential oil, eucalyptus oil can fasten the healing process of your blemishes as it contains antioxidants and anti-inflammatory substances (29). Apply the mixture of the oils on the blemished area and rub gently with your fingertips for a few seconds. Leave it on for 2-3 hours. 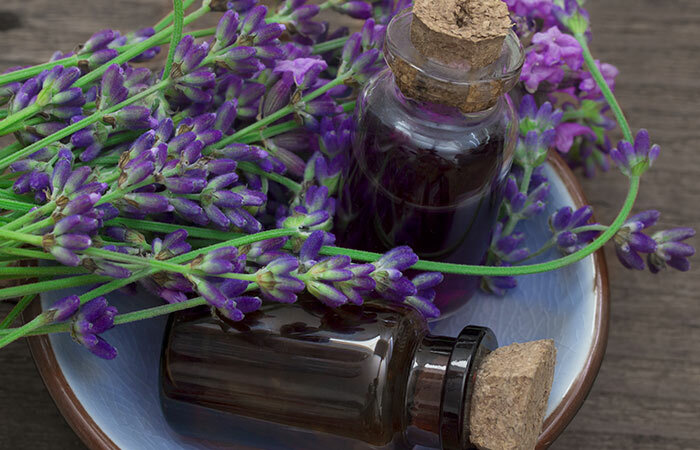 Lavender oil is soothing and healing for the damaged cells at the site of the blemish (30). When used along with a good carrier oil, like coconut oil, olive oil or even jojoba oil, the blemish will fade away soon. Mix the oils and apply the blend just on the affected area. You can also apply it to the entire face. Apply this every night, before going to bed. Peppermint oil has anti-inflammatory and antiseptic properties that can help you deal with skin irritation and issues such as rashes, scars, blemishes, and acne (31). 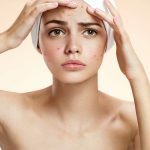 These remedies will work the best when used as soon as the acne breakout occurs or immediately after the blemish surfaces. However, this is one case where we can positively say that prevention is better than cure. 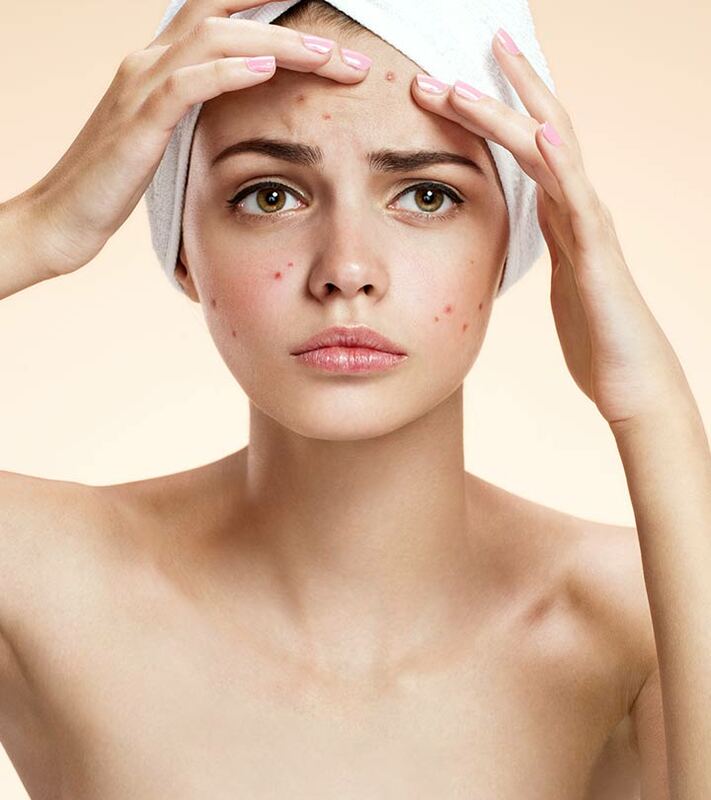 Once the acne hits, get ridding of it is a time-consuming process that eventually affects your self-confidence and self-image. So, here are a few simple steps to keep acne and blemishes at bay. Gently exfoliate your skin every day to remove excess oils and prevent spotting. However, you must consult a dermatologist before using any harsh scrubs on your skin. Don’t use rough washcloths, alcohol-soaked pads or sponges on your skin. These can cause irritation that increases the production of oil and creates new blemishes. Make the Cleansing-Toning-Moisturizing routine a part of your daily schedule, especially if you have oily skin. skin, but you need to ask your doctor first as AHAs do not suit everybody. Don’t poke, probe, squeeze, or otherwise manipulate blemishes or pimples with your fingers, especially if they are dirty. Let your cleanser and exfoliants do the work. Use a good sunscreen with SPF 15 or higher whenever you go outside. The sun can make blemishes worse and interfere with certain acne medications and treatments. Improve your diet. You should consume fiber-rich fruits and vegetables in plenty. Consuming ginger and garlic is good. Detoxifying the body is also very good. Drink about 6-10 glasses of water on a daily basis. Moderate exercise helps to detoxify the blood and clears your skin. Change your pillow cover every day as the perspiration on it can contain bacteria. In certain cases of extreme acne, you might need microdermabrasion, chemical peel or even laser surgery to control sebum secretion, and these can be prescribed and done only by a certified doctor. But in a lot of cases, this form of treatment fails us, and that is when we give in to the age-old wisdom of our ancestors and get back to tried and tested natural remedies. Follow our simple home remedies for blemishes on your face. After all, a clear and radiant skin will make you look attractive and beautiful. If you use any other method to remove blemishes, do let us know in the comments section below.